Tropical storm/hurricane tracking for the Atlantic/Pacific. Is there a better alternative to MegaTrack? Is MegaTrack really the best app in Science category? Will MegaTrack work good on macOS 10.13.4? MegaTrack... 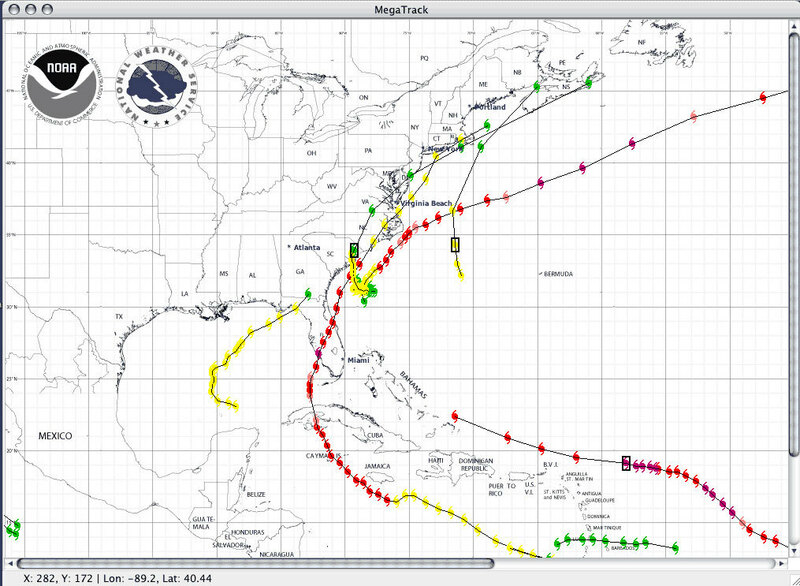 Basic tropical storm/hurricane tracking for Atlantic and Pacific storms. Provides detailed information on storm tracks, enables hiding of inactive storms and retrieving updated storm track information from the Internet. Version 1.4.1: This minor release fixes an issue with active storms and also some rendering issues.